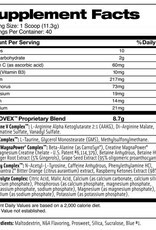 Today you have many choices when selecting a pre-workout supplement. 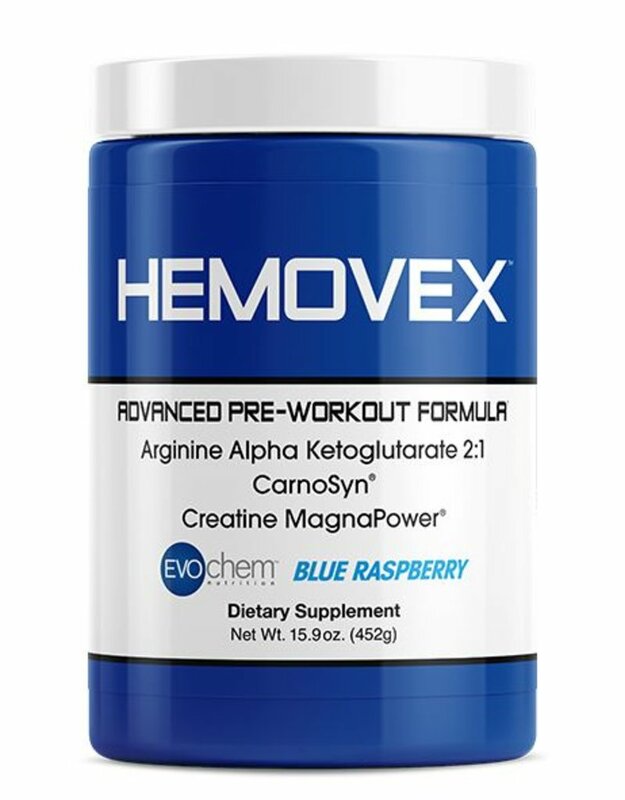 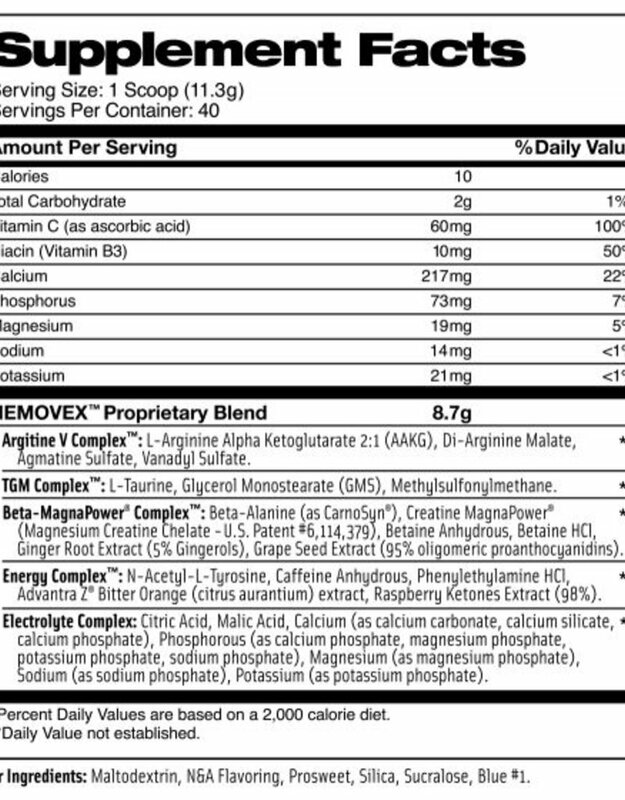 HEMOVEX™ blue raspberry is an advanced, pre-workout formula comprised of several cutting-edge ingredients including Beta-Alanine (as Carnosyn®), Creatine MagnaPower®, and Arginine Alpha-Ketoglutarate 2:1. 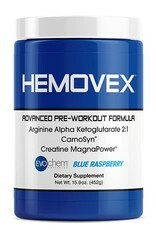 HEMOVEX™ is designed to boost training performance, intensity, energy levels and zero in focus for a killer workout.